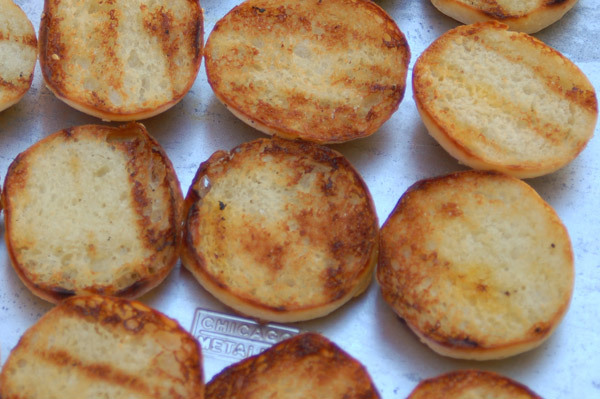 We have tested this recipe out a couple of times now, and it has turned out great each time. Matter of fact each time we make it, they are so good I completely forget to take a good picture of them, hence Christy's gorgeous picture above. In the original recipe she cooks the chicken in a slow cooker (crock pot) which takes a few hours. I can speed up the process a little bit in case you need to make this tonight... or let's say right now! Take 4-5 frozen Costco chicken breasts. Put in a large pot of water and boil them for 20 minutes or until the chicken is cooked through. Place warm chicken out on a cutting board and remove fat, veins, and any "undesirables" you might find. Shred the meat with two forks OR if you want to get tricky try my newest find which is to shred the chicken in the kitchenaid mixer. The key here is texture. Depending on how much meat you use, you want the dressing and other ingredients to be on the moist side. If it looks dry, add a bit more dressing. I have been known to add a few spoonfuls of sour cream near the end to give extra moisture and sometimes help cut the "spicy" aspects of Caesar dressing. After that warm it in your crock pot until it is heated through and time to serve. You can just have a big bag of slider buns laying next to your crock pot for big gatherings, or I have found on nights when it's just us, that toasting and then buttering the slider rolls take the flavor up a notch. 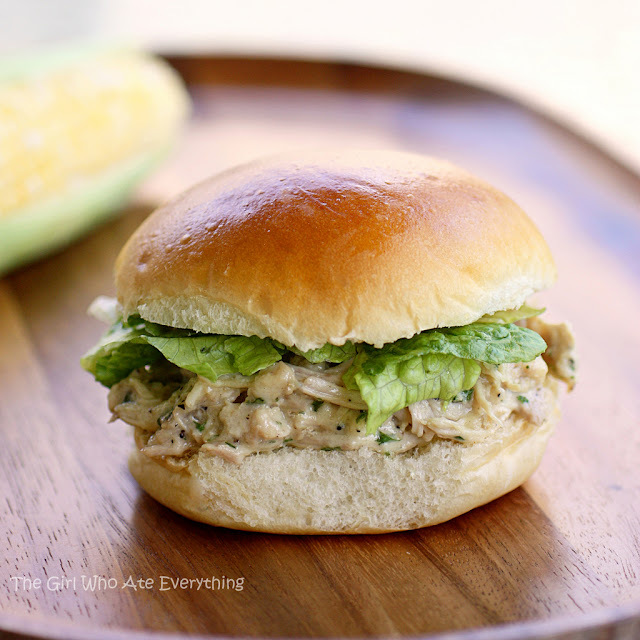 Spoon some warm chicken Caesar mixture onto a toasted slider bun and top with cool crisp shreds of romaine lettuce. The only trouble you will have with these tasty little babies is only eating one. 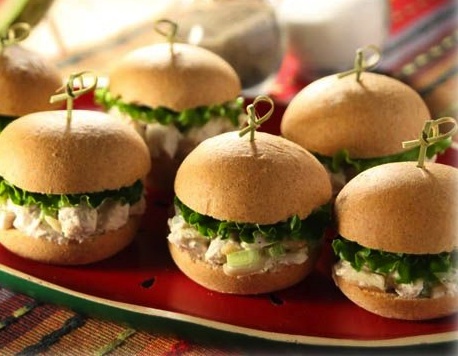 Sliders, by law, means you can have as many as these adorable sammies as you want with no added calories whatsoever. Also the fact that this was formally a salad makes it "healthy" in my book. This recipe probably makes enough for a family of 4-6 hearty eaters. If you are having a party add more frozen chicken at the beginning and add extra sauce ingredients at the end as well. These would work great for a game day, family get together, graduation party, baby shower... they seem to be very versatile! This makes great left overs the next day too by the way. You can even make this as an appetizer/dip and spread the chicken mixture on sturdy crackers.